As the amount of tire and rubber waste continues to increase each year, their negative impact on the environment also continues to increase. Fortunately, there are many ways to increase your recycled rubber use and decrease the amount of wasted rubber. The U.S. generates over 250 million scrap tires each year. 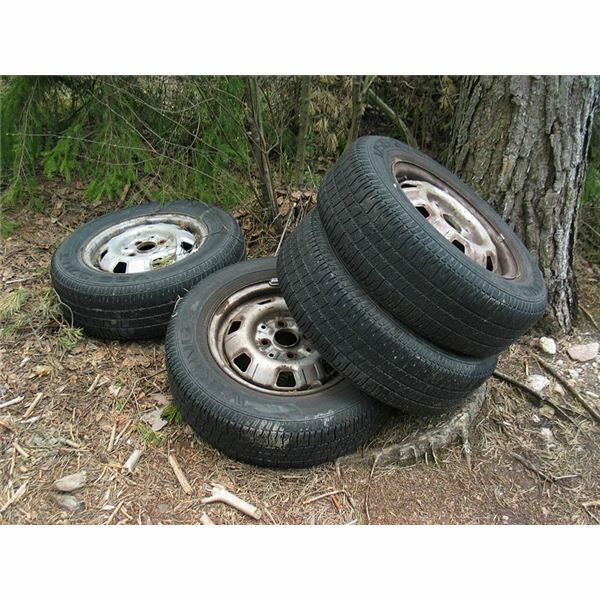 These scrap tires take up large amounts of space in landfills and are often dumped into illegal tire piles. Consumers can increase the life of their tires through proper use and maintenance like repairing and rotating tires, or purchasing re-treaded tires. Once a tire is ready to be recycled, there are many ways to do so. Ultrasound recycling uses heat, high pressure and mechanical energy to melt down old tires which can then be re-cured and molded into new rubber products. Tires can be recycled using the pyrolisis method, which chemically decomposes the tires by heating them at high temperatures. Some of the by-products of using this method include benzene, diesel and kerosene. Scrap tires can also be stamped, cut, chipped, shredded or ground and manufactured into new rubber-based products. Recycled rubber is an important component of many products that are used in everyday life. Recycled crumb rubber is often mixed in with asphalt, increasing its lifespan and durability. Crumb rubber is also mixed with concrete, which improves its thermal and sound absorption properties. When added to municipal sewage sludge, crumb rubber aids in its composting abilities and reduces costs, due to the fact that is does not disintegrate and can be reused. Crumb rubber can also be added to mulch to help conserve soil moisture, control soil temperature and reduce the amount of pesticides that are needed. Recycled rubber is used in many outdoor and landscaping applications. It is commonly used for playground surfacing products such as tiles and mats to provide a cushioned surface. Recycled asphalt rubber is used for bike and walking paths, golf cart paths, and athletic running tracks. Outdoor tiles, pavers and flexible curbing can be made from recycled rubber. Other products include agricultural pipes, animal bedding, automobile parts, conveyor belts, carpet pads, clothing accessories, bicycle tires, floor mats, floating docks, fencing, industrial flooring, handbags, hoses, oil spill absorbers, paint, pond liners, pavement, rail crossings, roof tiles, sandals, sealant and shoe soles, just to name a few. Using recycled rubber can reduce the need for landscape maintenance by slowing weed growth, decreasing insects and rodents, reducing soil compaction and improving drainage. Athletic tracks are more resilient and have a softer surface, thereby reducing injury. Playground surface material is non-toxic and easy to maintain. By recycling rubber into other useful products, the negative impact upon the environment is immediately reduced, including saving landfill space and eliminating the harmful effects on humans and the environment. Automobile tires are mandated to have certain mechanical properties that require a higher quality of rubber. However, rubber tires decompose very slowly causing environmental pollution, groundwater contamination, tire fires and viruses from insects breeding in the water accumulated inside scrap tires. Benefits of increasing your recycled rubber use include saving money, saving the environment, and saving human lives. Recycled rubber may cost up to 50% less, and some of the properties of recycled rubber are actually better than virgin rubber.